Can’t never make up my mind on wheels lol! Just wanted to share my new “Dark Anthracite” wheel set. My previous Apex Anthracite set was a few shades too light IMO. I think this darker color goes well with the Silver Grey. 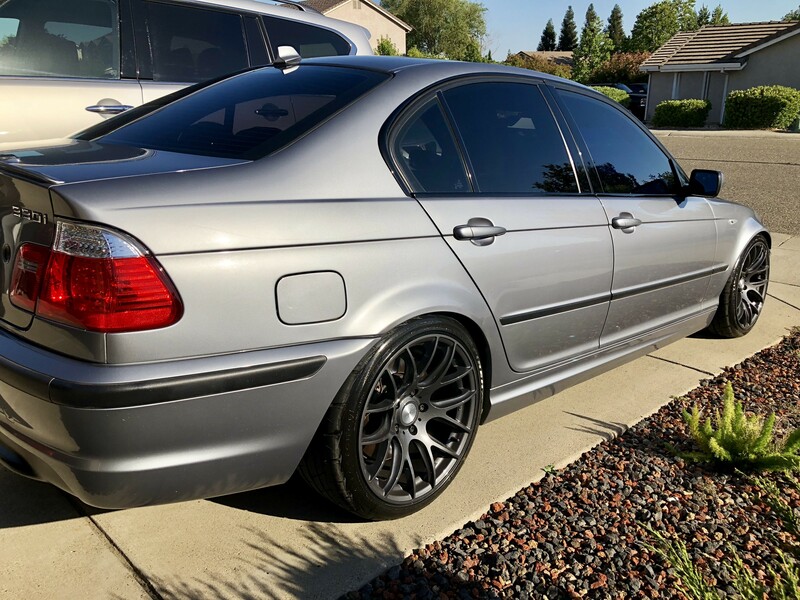 18x9.5” ET40 with Firestone FireHawks 255/35 all around. Lowered on H&R Race springs with Turner fixed camber plates. Here’s pics of how much darker the ESR Anthracite is compared to the Apex Anthracite. The Apex color looked almost identical to the Silver Grey. No contrast so I felt the need to change lol! Wow my Apex’s look a lot darker than that. Looks great! I forget the name of your paint but it's the darker grey compared to titan, those wheels look awesome with your paint color. 1983 320i - 1982-09 - Kashmir Metallic - Currently own! 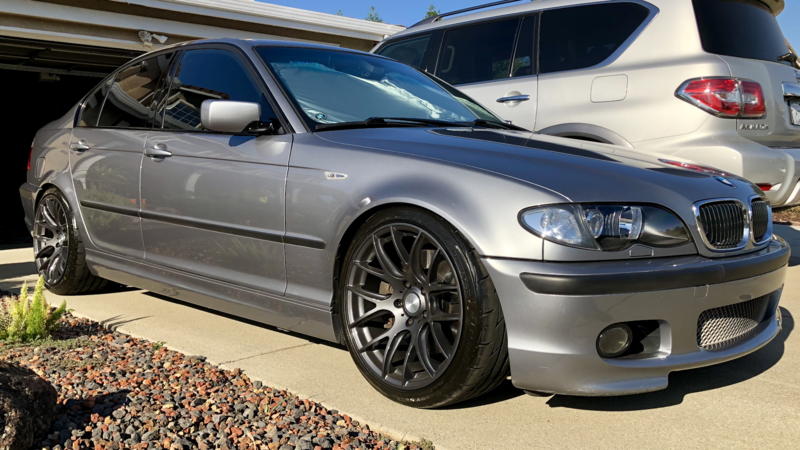 2004 ZHP - 2003-08 - Titanium Metallic - Currently own! 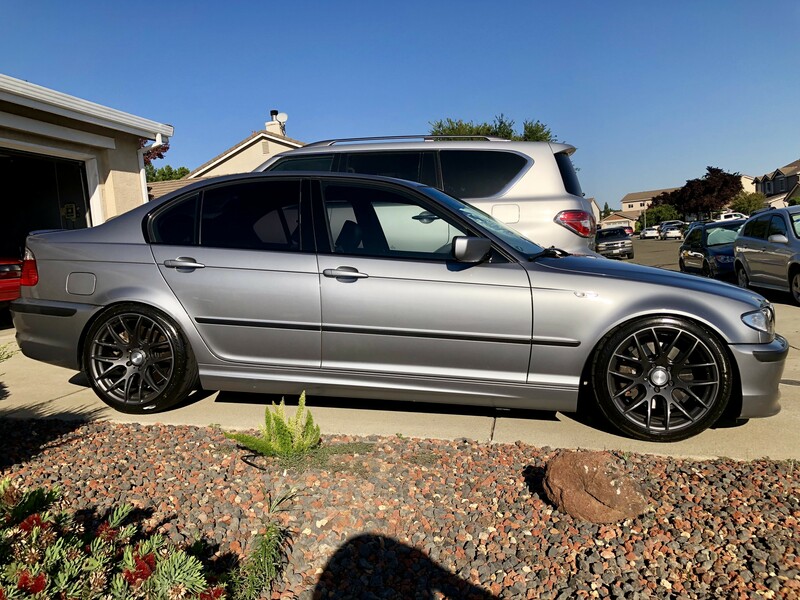 WTB: 2 DRIVER SIDE XENON HEADLIGHTS, ZHP DARK HOUSING.